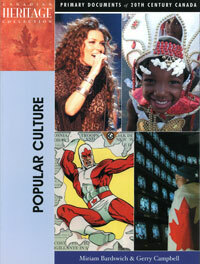 THE CANADIAN HERITAGE COLLECTION is a series of books that explore 20th Century Canada through source documents. 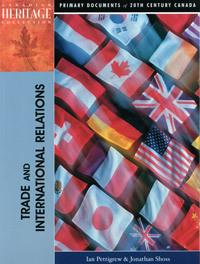 Each book focuses, on a central theme and is organized by decade to show the unique flavour of the period, its appearance and mood, the defining issues and events, and prominent people who shaped it. It is difficult to imagine a Canada without Quebec or Quebec without Canada. Yet on 30 October 1995, Bandanas from coast to coast were watching national television coverage "Separation Night in Canada." Canadians/Canadiens anxiously viewed the referendum tallies as they came in from across the province of Quebec. By evening's end, Canada was held together by the slimmest of margins. What had brought Canada to the precipice? What does the future hold for this country? 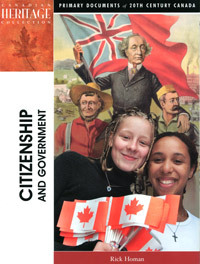 With these questions in mind, this resourse offers primary documents that will help the reader to gain a better understanding of the long and storied relationship between Canada's teo founding cultures. Since September 11, 2001 our world has changed. Now more than ever we feel the need to protect and be protected. For the last one hundred years Canadian men and women in the military and on the homefront have made tremendous sacrifices to secure peace in our country and all over the globe. 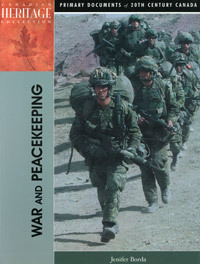 This book explores Canada's participation in war and peace keeping missions throughout the twentieth century. In the 21st century, it is difficult to imagine a world with out advertising. Both in the home and out, we are bombarded with literally thousands of images selling products and concepts. Therefore, advertisements. Have become important primary documents for historians. 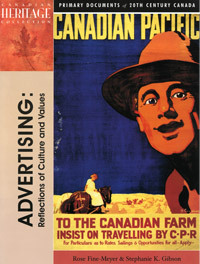 This book offers a panoramic view of 20th century Canada through a wide variety of advertisements. Canadians often use the term "mosaic" to describe their country: a nation of immigrants with the capacity to preserve ethnic and cultural uniqueness within a country whose broader focus is civic nationalism. Debates over immigration policies, as well as acceptable intake numbers, however continue into the 21st century. 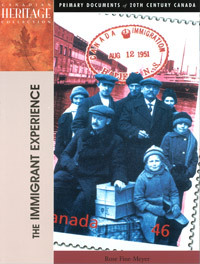 The primary documents in this book offer a survey of Canadian immigrants and the impact they have made on the cultural, economic, and social values of our Canadian society. 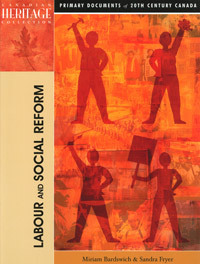 Canada is better today for the efforts of its labour and social reformers – for the labour it has taken to build the country and for the activism taken to improve it. 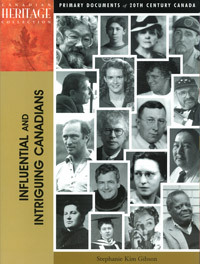 This book presents a unique overview of Canadian reform history from its roots in the nineteenth century through each decade of the twentieth century. 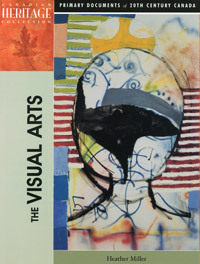 These stories are told through a wide variety of images and perspectives in the primary documents included in this book. The histories of Canada and the United States are inextricable woven. From the moment that the rebellious Thirteen Colonies removed themselves from the British Empire, both countries have developed in an interdependent way. This resource offers primary documents that will help the reader gain a deeper understanding about the long and storied relationship between these two proud, sovereign nations. Popular Culture is an ever-changing reflection of how people see themselves and how others represent them. 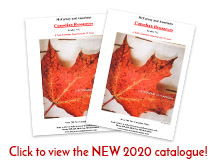 Our entertainment, popular trends, fads, fashions, and the "arts of the moment" allow us to observe how Canadians have lived and enjoyed themselves. Popular culture identifies our heroes, and often reflects mainstream values and beliefs. It defines, and is defined by, what is important here and now. The images and other primary documents in this book capture moments and trends in Canadians popular culture from 1900 to the beginning of the new millennium. 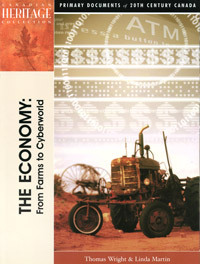 It has been over 100 years since Prime Minister Wilfred Laurier predicted that the 20th century would belong to Canada economy was influenced by the dramatic changes brought about by periodic clusters of innovations, and has evolved from agriculture-based society to a knowledge-based society, hi-tech economy. In 1904, Sir Wilfrid Laurier boldly predicted that "the 20th century shall be filled by Canada". In the course of the past 100 years, Canada has evolved from colony to Dominion to fully independent state. 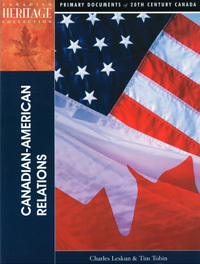 This volume traces the dramatic process through an examination of primary sources and focuses on Canada's changing social, political and economica relationship with Great Britain, the United States of America, and the wider world. What emerges is a powerful portrait of Canada's determined but occasionally agonizing and faltering quest both for recognition on the international stages and a distinct role in an increasingly interconnected global village. A nation that began as a constitutional compromise, Canada has often been described as "ungovernable". Yet it is one of the most stable political systems in the world today. A diverse, multicultural population thrives within an officially bilinguall framework that recognizes the original deal struck between English and French founders. 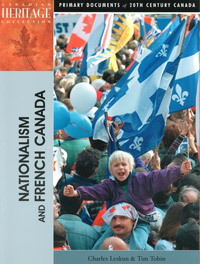 The primary documents in this book trace the stiring events leading to nationhood and beyond, and reveal the passions and insights of Canada citizens from the late 19th century into the new millennium.